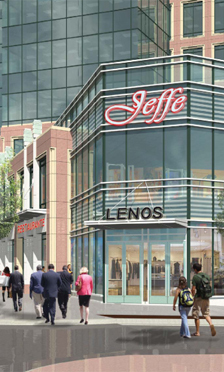 RJTR is responsible for architectural design services for a new 46,802 sf, two-story retail shell addition. New construction, designed to be a Silver-Level LEED Accredited facility, adhered to the Blueprint Midtown Standards. 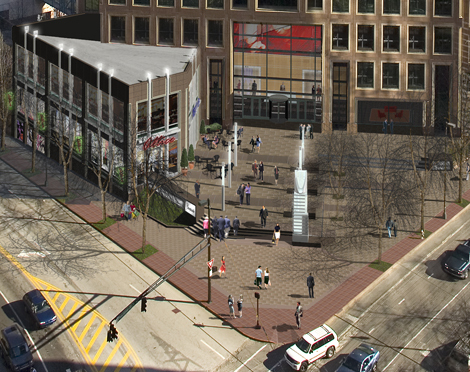 The new construction fronting Peachtree Street, 13th Street, and 14th Street will provide high-end retail tenants. 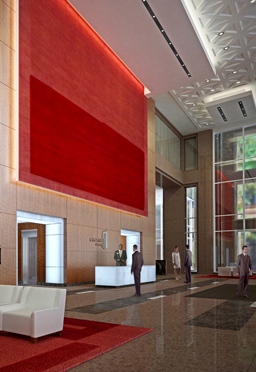 RJTR redesigned the existing office tower lobby, creating a more vibrant and visible connection with the many pedestrians passing by along Peachtree Street. In addition, RJTR designed new elevator cabs and updated tenant floor elevator lobbies, corridors, and restrooms.